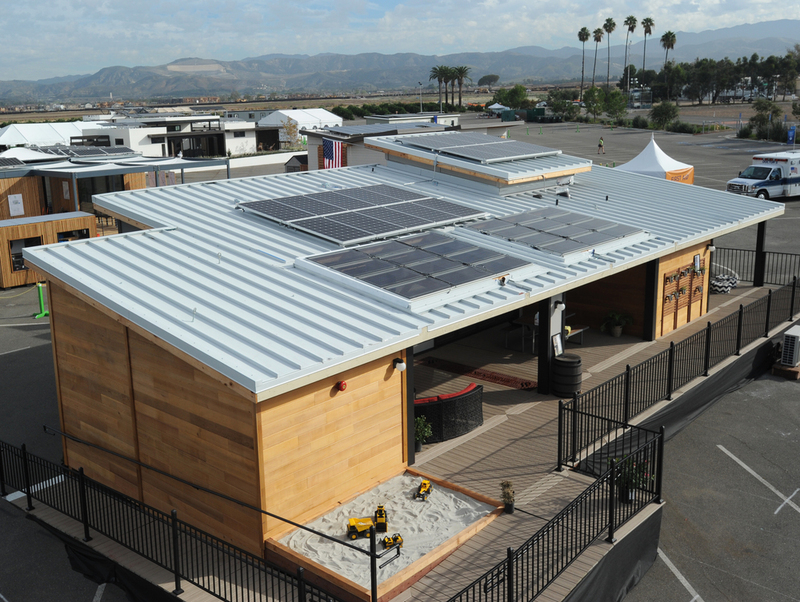 This past Sunday, the Department of Energy announced the winner of the 2015 Solar Decathlon. 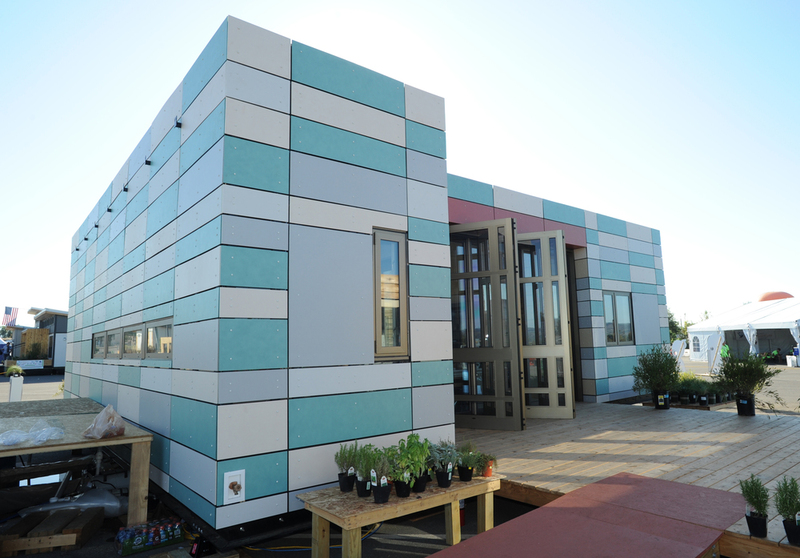 This is a competition for universities from around the world and often partnerships of domestic and international universities to build completely self sufficient zero energy homes which have to be built (or assembled) by the students in a matter of days before the competition starts in Irvine, California. The homes have to be used as though someone were living there and the teams have to host a dinner party to demonstrate the livability of their concept. They are then graded across 10 categories (hence the name) including measured competitions such as energy balance, appliances and comfort and juried competitions such as market appeal, architecture, and affordability. 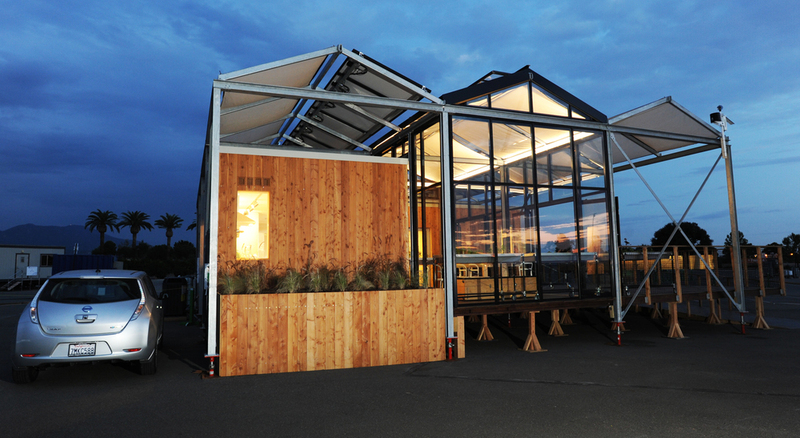 This year, the winner was the Stevens Institute of Technology's "Sure House" which was a response to their first hand experience of Hurricane Sandy leading them to develop a costal home that is both sustainable and resilient. "Su" stands for sustainability and "re" stands for resilient. The home was engineered to withstand a hurricane with its reinforced structure and built-in heavy duty shutters and produces all of the electricity the home needs to operate including enough excess to power an electric car without relying on the grid. In the event of a disaster that took out grid power for a long period of time in a region, the excess can also be used to charge phones and other battery-powered tools for others in the neighborhood. How's that for a good neighbor? Older PostWelcome to the green|spaces blog!